As with any surgery, you will have recovery time. Specific post-surgery information is listed below for each type of weight loss surgery we perform, including the diet and lifestyle required by you to maintain success. You will be asked to sit in a chair and walk the same day of surgery. May have a catheter in your bladder to measure urine output. Will not be able to eat for the first day. On Day 1, you will be given sips of water. On Day 2, you will be given sips of protein. When you are discharged, you will begin an eight-week progressive diet. Will wear special stockings on your legs to help prevent blood clots from forming while in bed or sitting in a chair. Will receive medicine through shots to prevent blood clots. Will receive pain medicine through an IV, a catheter that goes into your veins, and then transition to liquid pain medication by mouth prior to discharge. Can tolerate sips or water and protein without vomiting. Can move around without a lot of pain. Do not need pain medicine through an IV or shot. You will probably be able to go home 2 days after your surgery. You should be able to drink clear liquids on the day after surgery, and then a protein supplement diet by the time you go home. When you go home, you will probably be given pain pills or liquids and a medication called proton pump inhibitors. Your doctor, nurse, or dietitian will recommend a diet for you. Meals should be small to avoid stretching the remaining stomach. 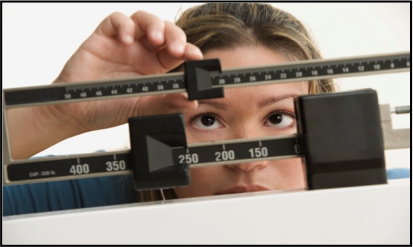 The UF Health Weight Loss Surgery Center currently only provides maintenance and removal of bands for patients who have already had this type of surgery. Please contact our bariatric coordinator, Gwen Crispell, RN,MSN, CBN at (352) 265-0111 x29634. Keep in mind, with any of these surgeries, the key to success is a lifelong commitment. You will need to adhere to strict dietary and nutrition goals in order to maintain a healthy lifestyle. We also provide monthly patient support groups to help you on your weight loss journey.